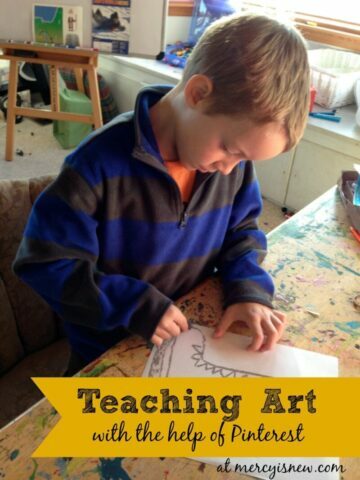 In our art class at co-op (Teaching Art ~ With the Help of Pinterest) we have been learning about Vincent Van Gogh this semester! I have been blown away by all the FABULOUS children’s books on this amazing artist! So, I wanted to share a few of my favorites with you! 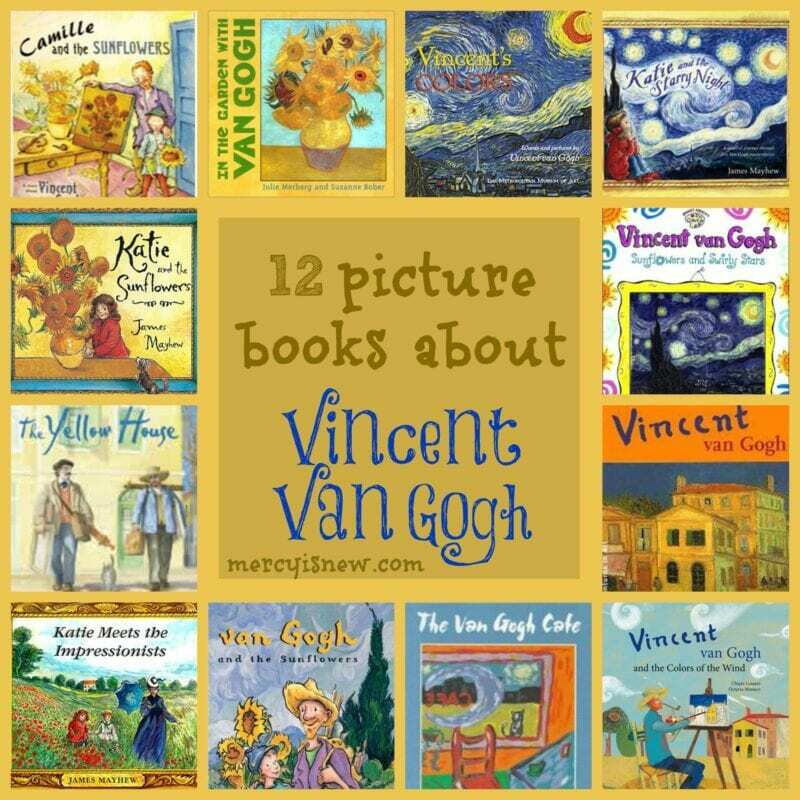 Vincent’s Colors ~ this is a very simple book with simple, short wording, but it’s also one of my favorites because the lines in this book are Vincent’s own words written about his paintings in letters to his brother! Katie and the Starry Night ~ These James Mayhew books are EXCELLENT, probably my favorite books to introduce children to these famous artists! The Yellow House: Vincent Van Gogh and Paul Gauguin Side by Side ~ this is based on a true story and my art students and I had a great conversation based on this book after reading it together.